Page 190 in the UK version and named Pepper Taco Pan. Really tasty and very easy to veganize for myself, used frozen soya mince and a little Violife original block 'cheese' grated. Pg 237 in the UK edition. I made this with butternut instead of the turnip noodles and romanesco cauliflower instead of the regular cauliflower purely because that is what I had to hand. I made this for my 5:2 fasting night dinner as it comes in a 279 calories, it's so tasty and filling will definitely make this again soon. Can also substitute the turnip for parsnips or sweet potato too. 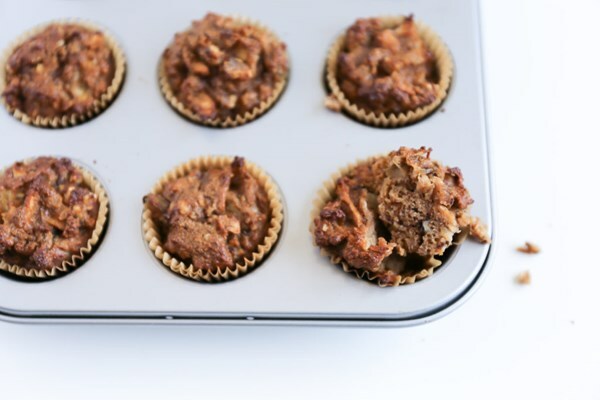 Since Ali Maffucci first launched Inspiralized, home cooks have been able to turn their favorite high-carb, high-calorie dishes into clean meals that fit into any diet, from paleo to vegan to gluten-free to raw. 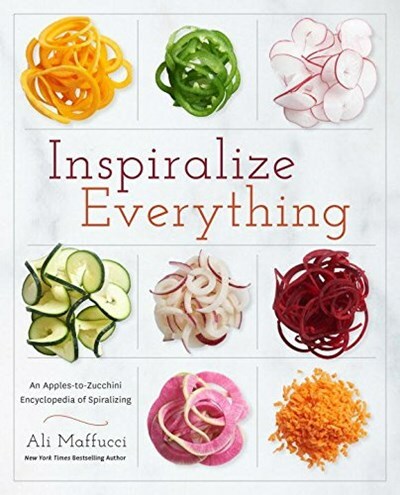 The creator of the wildly popular blog and the author of the runaway bestselling cookbook Inspiralized, Ali is indisputably the authority on the topic. Now, with this ultimate guide, she’s making it easier than ever for you to spiralize every meal. Inspiralize Everything is organized alphabetically by type of produce, allowing you to cook with whatever you already have on hand, what comes in your CSA box, or what you find at the farmer’s market. 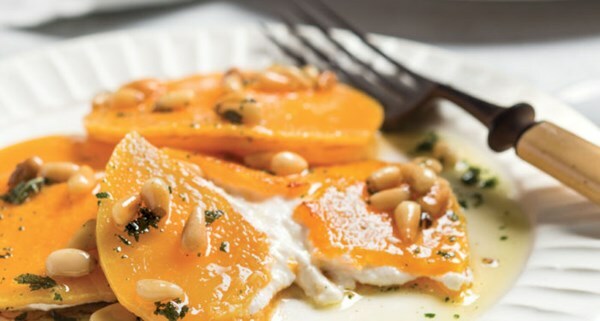 Ali highlights more than 20 vegetables and fruits, detailing their nutritional value and preparation techniques, including the more abundant beets, butternut squash, and carrots, but also the less common chayote, jicama, and kohlrabi. Versatile and varied, each recipe was crafted to become a well-loved staple in your repertoire with a focus not only on healthy eating, but also on easy cooking. Diet customization options, veggie swap suggestions, and special attention paid to one-pot, make-ahead, and no-cook meals ensure that Inspiralize Everything will become a workhorse in your kitchen. Want a vegan dinner that’s minimal on cleanup? Try Cheeseless French Onion Soup. How about a hearty meal that’ll make great leftovers for lunch tomorrow? Winter Lasagna with Butternut Squash, Brussels Sprouts, and Chicken Sausage is for you. Need a super detox to reset your tastebuds? The Watermelon Radish Nourish Salad with Lemon-Ginger Vinaigrette is just the thing. Sweet tooth satisfaction? Proceed straight to the Zucchini Noodle Bread with Coconut Cream Frosting. Whether you have weight-loss goals, follow a specific healthy lifestyle, or just want to make good-for-you food at home, this book has the answer. If you’re a spiralizing pro, this book will become your recipe bible; if you’re just starting out, it will teach you everything you need to know. Either way, get ready to be inspiralized.